In Australia, food safety standards place obligations on food businesses to produce and store food that is safe and suitable to eat. To adhere to these standards, businesses must be vigilant about how they handle, cook and store food, as most cases of food-borne illness are preventable through good hygiene, safe food-handling and careful storage practices. 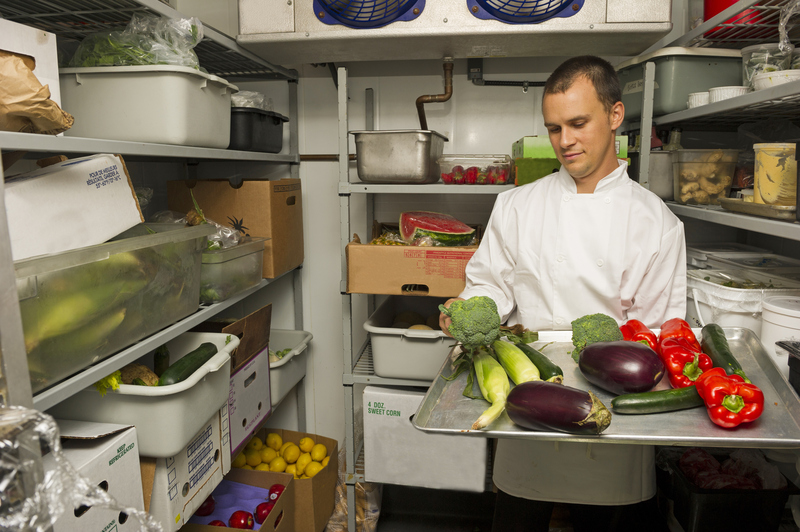 With regard to safe food storage, a coolroom is a vital component of any restaurant or food business’s operation. Coolroom storage is essential to protect food from harmful bacteria and reducing spoilage and most businesses will invest in this equipment. However, even a coolroom must be managed properly to ensure it remains safe environment food storage. Hazards like mould, which can grow on any surface as long as moisture is present, is still relevant even in a coolroom environment. The last thing a business owner wants to happen is for mould to grow on the walls or ceiling of their coolroom as this could present a significant risk of it spreading to the food products within. So the question is, how can hospitals, aged care facilities, restaurants, take-away food outlets, hotels, clubs, school canteens, butcher shops, bakeries, supermarkets and many other businesses ensure they store their food correctly and keep their customers safe? In this article we highlight what to think about and how to ensure your business employs safe food storage and coolroom practices. At room temperature, the numbers of bacteria that cause food-borne sickness can double every twenty minutes! Bacteria thrive at temperatures anywhere between 5°C and 60°C. In ideal conditions, their numbers can multiply and reach dangerous levels in just a few hours. With this in mind it is important to store cold food in the coolroom with the temperature set below 5°C. 1) ‘Cleaning’ removes the things you can see, including food residue. There should be no accumulated dust, dirt or food particles on the surface, and no objectionable odour. 2) ‘Sanitising’ kills the things you can’t see, including bacteria and germs. To sanitise means to apply heat and/or chemicals to a surface in order to reduce or remove bacteria. It is important to clean before you sanitise. If both steps are undertaken properly the environment or surface will be hygienic and safe. Food Standards Australia New Zealand n.d., Food Safety: Temperature control of potentially hazardous foods, accessed 5 March 2018,<http://www.foodstandards.gov.au/publications/documents/FSTemp_control_Edition_for_printing.pdf>. HACCP Australia n., Health & Hygiene – A guide for cleaning coolrooms and kitchens, accessed 7 March 2018, pages 6-13.